Who wants to sit inside with your guests when you can finally enjoy the outdoors? It seems simple enough to have an outdoor get-together, but for some of us, the thought of bringing all the comforts of the indoors outside is daunting. That’s why I’m here to help you by explaining how to throw the perfect outdoor party this summer. One of the biggest things that keeps people from hosting outdoor parties is seating. In fact, when we moved into our new home just before Labor Day last year, the first piece of new furniture we bought was a tall table with six barstools for our deck because we always wanted to be ready for whenever anyone stopped by. While you don’t have to purchase a new patio table and chairs like we did (though outdoor furniture is an extra 10% off at Macy’s right now), you do have to either provide a place for everyone to sit to eat, or think far enough in advance to ask people to bring their own lawn chairs and/or picnic blankets. Who doesn’t love feasting on cold watermelon or grilled corn on the cob during the summer months? Food is one of the easiest aspects of throwing an outdoor party because fresh fruits and vegetables are so plentiful this time of year. Food should also never be an obstacle keeping you from having people over this summer. Most are more than happy to bring a dish to share; plus potlucks allow everyone to experience different cuisine than they may be used to eating on a daily basis. Even though the days are longer, chances are the sun’s going to set while you and your guests are still outside. 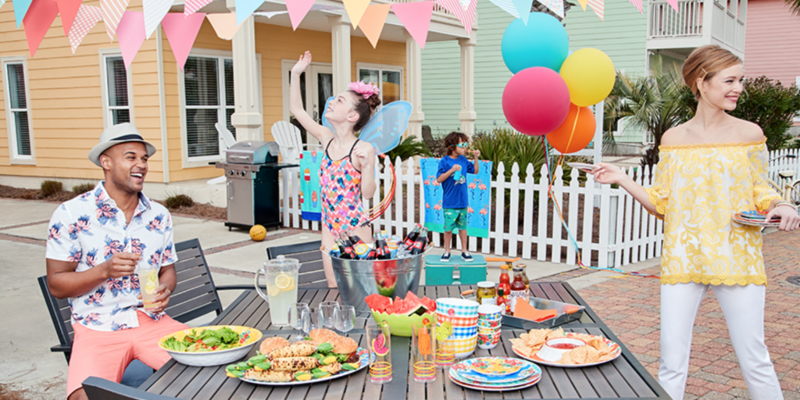 Be prepared by setting up your party on the deck, or by bringing out citronella candles or tiki torches to surround your party area. No, I’m not talking about hiring a 5-piece band for your backyard barbecue, but it is helpful to think through some ways for your guests to entertain themselves in case there’s a lull in conversation. Whether it’s a simple game of corn hole in the corner of the yard or putting up a sheet to project a movie on once the sun goes down, always have a few ways different pockets of guests can escape during the evening to have some fun. With Memorial Day just around the corner, I hope you’ll find these ideas inspiring instead of intimidating. 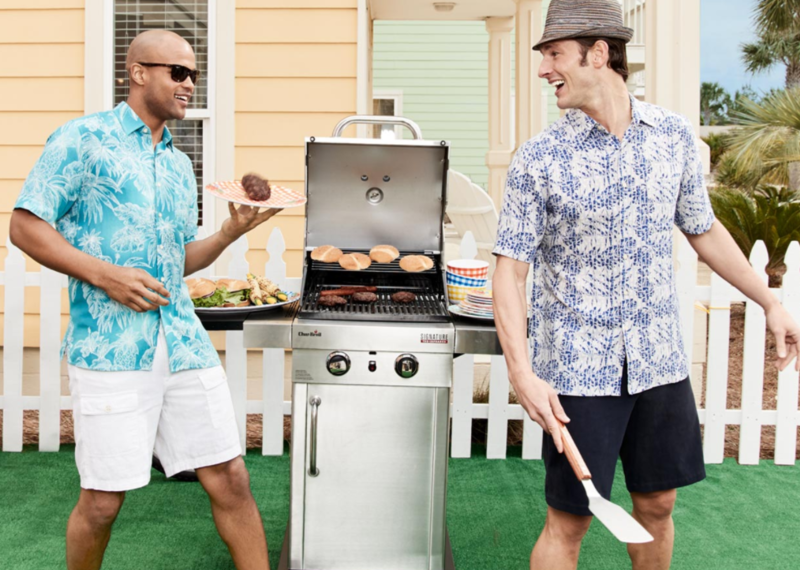 And if you do need to add a few new elements to your outdoor entertaining arsenal, you’re in luck because the Macy’s Memorial Day Sale is in full swing! Just use code SUNNY to save an extra 20% off (in addition to earning $5 Macy’s Money for every $25 you spend).